TOKYO, Japan, September 26, 2017 -- Japan Display Inc. Today announced that the company will implement an organizational change as of October 1, 2017 as part of its ongoing structural reform plan. The new organization will have a newly introduced "in-house company system" under which each in-house company is created based on the customer category. Also, the company will accordingly streamline its headquarters. ・To clarify responsibility for earnings and promote expeditious management based on prompt decision-making by delegating broad authority to presidents of each in-house company. 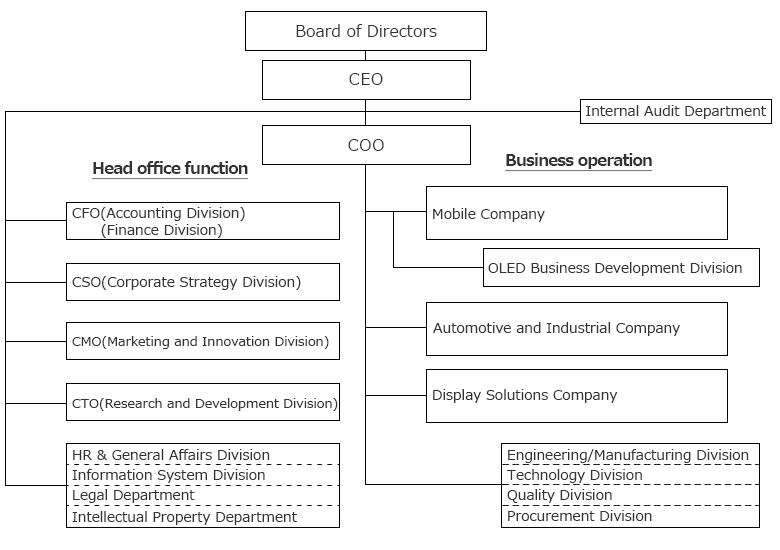 ・For the purpose of enhancing corporate value, the strategic function of the headquarters will be strengthened to achieve company-wide optimization, and the governance function over the in-house companies will be established.